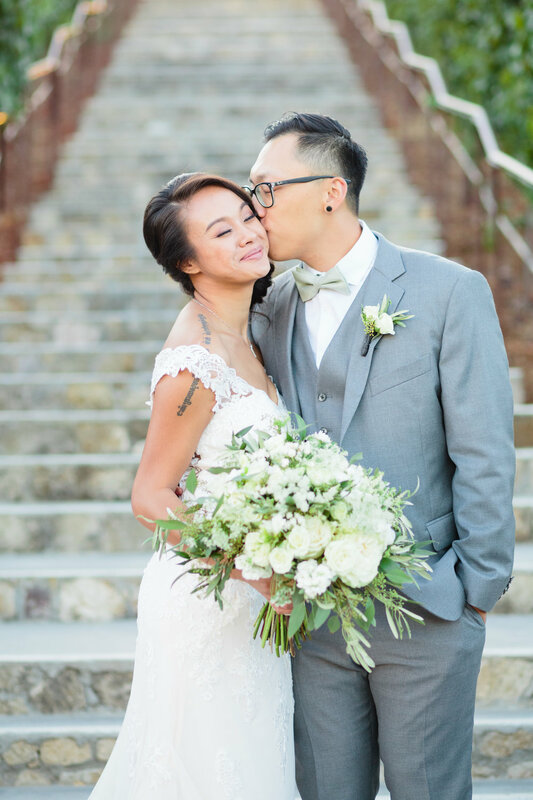 This fairytale wedding was held at Nella Terra Cellars, located in the beauty of Sunol, California. 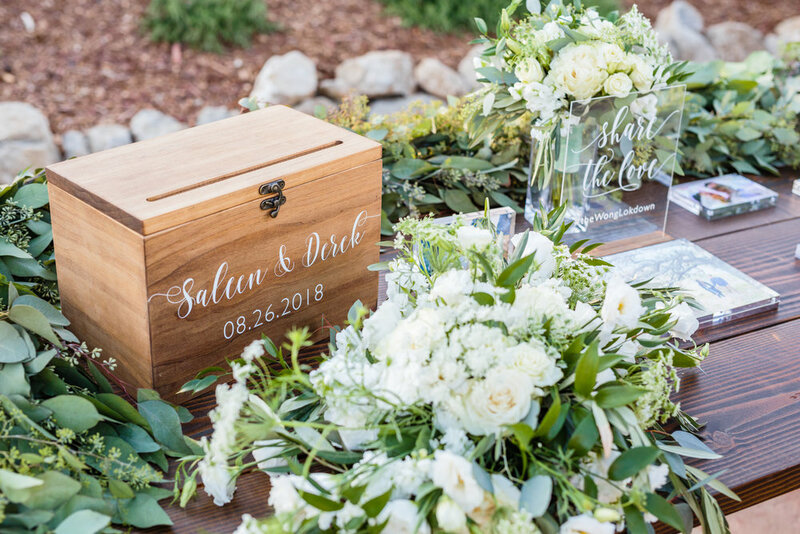 Our bride envisioned a modern American wedding, with a rustic and cohesive style. We topped the welcome sign with a beautiful garland with white florals tucked in. The bride’s bouquet had lots of texture and was arranged using crisp white tea roses, brovardia, astilbe, and queen annes lace, finished off with lots of greenery. The bridesmaid bouquets were smaller versions of the bride’s, wrapped in light sage green satin and chiffon ribbon. The altar was decorated with an 18 food seeded eucalyptus garland, tied back with two floral arrangements. 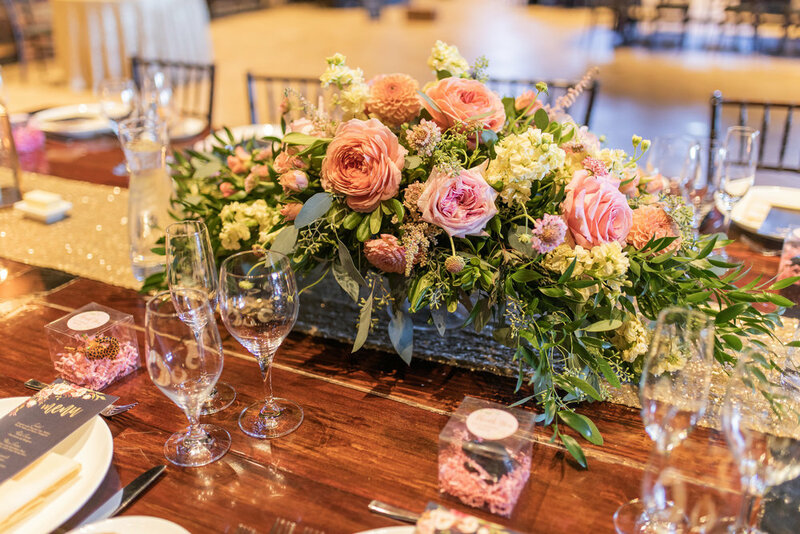 For the reception, we arranged low lush centerpieces in rustic wood boxes. 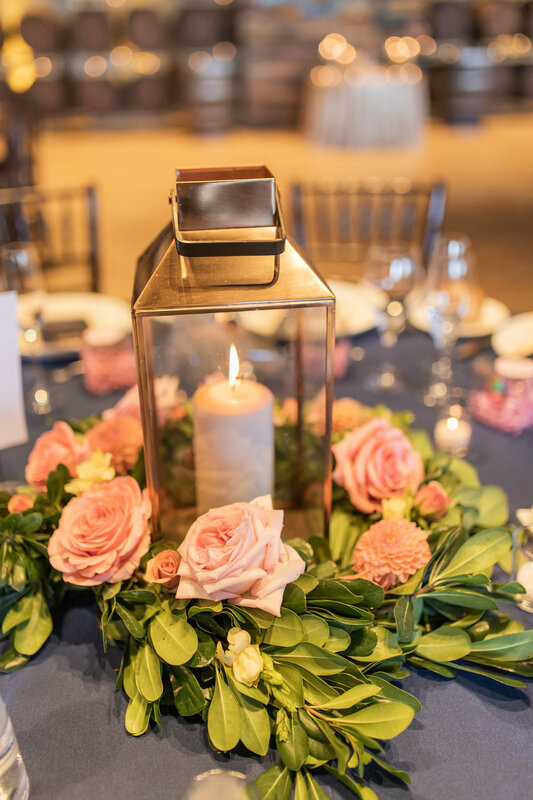 These centerpieces had lots of movement, similar to the bouquets, using the same bridal blooms. We topped off the sweetheart table with a luscious long and low arrangement that spilled over the sides of the table. Lastly, we topped the cake with fresh roses and slight hints of greenery.